NEW DELHI, INDIA- February X, 2018,—HARMAN Professional Solutions, the global leader in audio, video, lighting and control systems, including networked AV, recently announced that it had supplied an extensive HARMAN Audio Solutions at India’s 69th annual Republic Day celebrations. 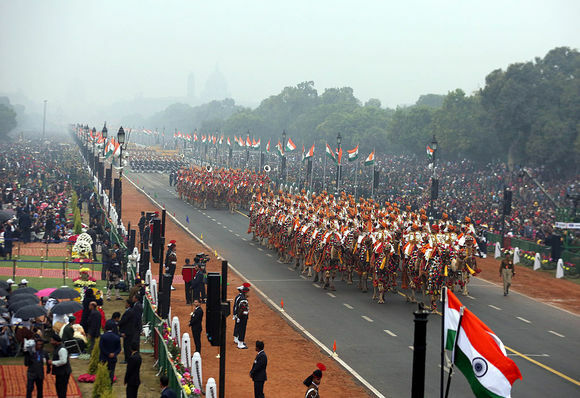 Each year, more than 200,000 people attend the Republic Day parade at Rajpath, a ceremonial boulevard that runs from Rashtrapati Bhavan to the National Stadium in New Delhi. The chief guests for this year’s celebration included 10 heads of state from the ASEAN nations, adding even more significance to the event. Last year, HARMAN Professional supported the Indian Army during the transition of Rajpath’s audio systems from analog to digital. After witnessing the system’s superior audio quality, the Indian Army decided to commission HARMAN audio solutions for the 69th Republic Day parades at Rajpath. The main HARMAN audio system at Rajpath is comprised of 250 units of JBL CBT 70J-1 and 250 units of CBT 70JE-1 column speakers, 21 Crown DCi 4|2400N high performance installation amplifiers, 13 BSS BLU audio processors and six Soundcraft GB Series professional audio mixers.